This post to is to remember one nice functionality available in RSA1. It is related to InfoProviders and grouping of key figures. It comes very handy in case of huge InfoProviders with hundreds of KPIs. Soon after upgrade to BW 7.3 you might realize that there is one more field available on InfoProvider specific properties for InfoObject pop-up. 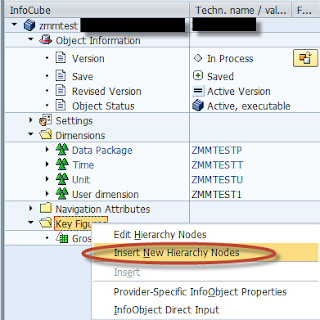 The purpose of this field is to assign the InfoObjects to the attributes in the SAP HANA model. This is needed in use case of BW’s VirtualProviders based on a SAP HANA Models. Basically by this we can use HANA model in BW system. After almost 2 years and few months passed after BW 7.3 was released new version 7.4 is coming. Finally SAP people had some time to spend also on some other of their offerings except HANA :-) Unfortunately so far 7.4 is not providing any new functionality outside of regards to HANA. 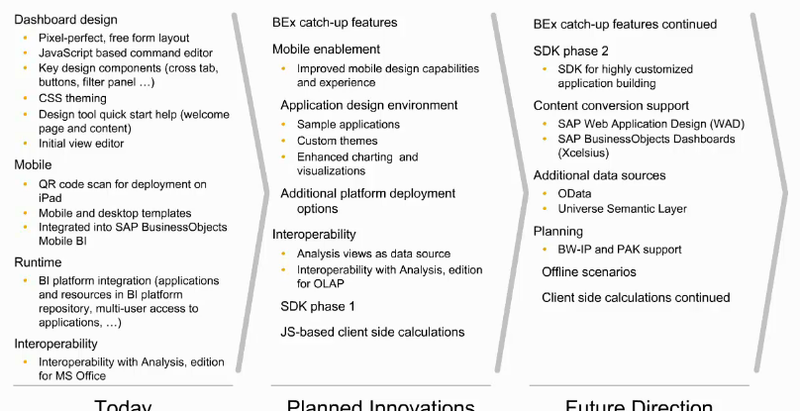 According BW roadmap available here focus also in future will be on HANA scenarios e.g. 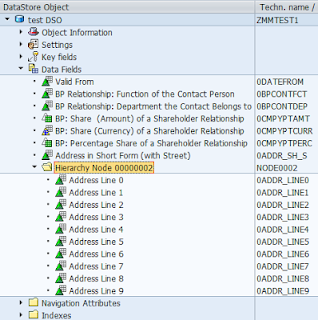 with connection to Business Suite on HANA. There is a one limitation being in all BW’s version for long time. It is with regards to maximum length of characteristic value. It has a limit of 60 characters. Well it had the limit. As of BW release 7.4 SPS2 this limit is over. Up to 250 characters are now possible. Technically this is implemented by extending domain RSCHAVL which was changed from data type CHAR 60 to SSTRING (255 characters in length). Similarly text for characteristic can have in BW 7.4 up to 1333 characters. This is done by replacing structure RSTXTSML with RSTXTSMXL. This is for first sight positive news however it has some negative glance. 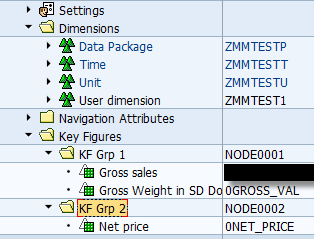 Such a long data type is threated by ABAP as so called "deep" type. Some of ABAP language statements cannot deal with such a long types. Therefore it might happen that some of custom code will defunct ending with runtime error. 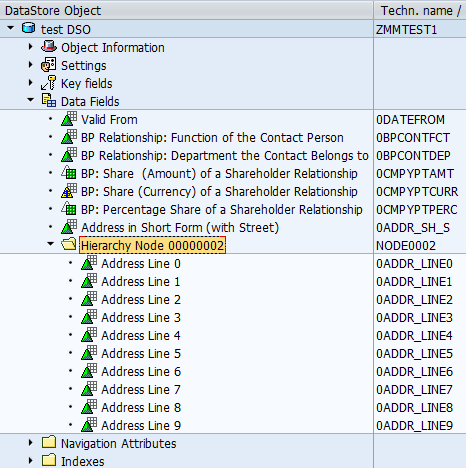 You can use ABAP Test Cockpit (Transaction ATC). ATC is successor of CheckMan tool. This info is taken from SAP Note 1823174 - BW7.40 Changes and customer-specific programs. I just went through hand-on session on SAP BOBJ Design Studio 1.0 as shared on last year TechEd. Let me do short wrap up of think that captured from the session and which are interesting me a lot about SAP BusinessObjects Design Studio. Product was formerly known as “SAP BusinessObjects Analysis, edition for application design” or “project ZEN”. 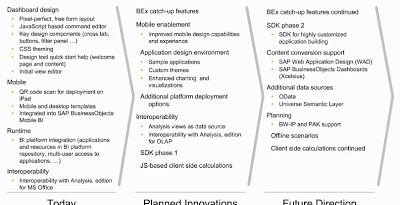 With regards to client version SAP BusinessObjects Analysis as replacement for BEx Analyzer I posted information here. The most expected functionality of this tool in my eyes would be migration tool for BEx queries, WAD and even planning (BW-IP) applications. It was said in session that SAP plans to work on it. If this won’t be aavailable any time soon customer will stay stucked with BEx queries for long time.